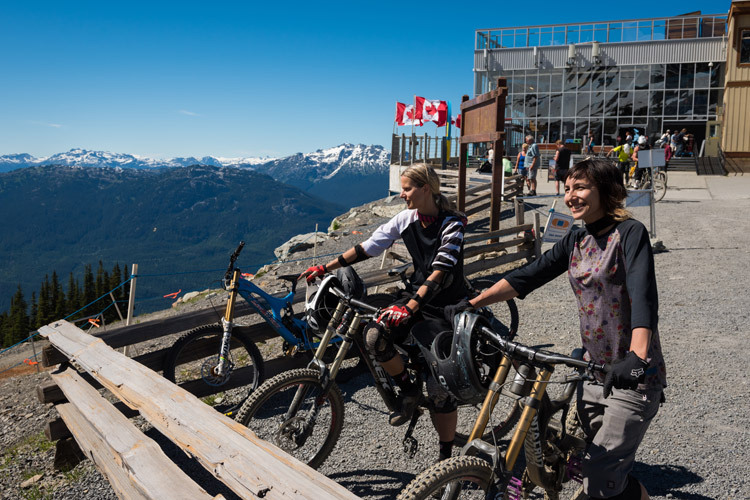 Whistler offers plenty of women’s only camps and clinics ranging from skiing and snowboarding in winter to the Whistler Bike Park and golf courses in summer. 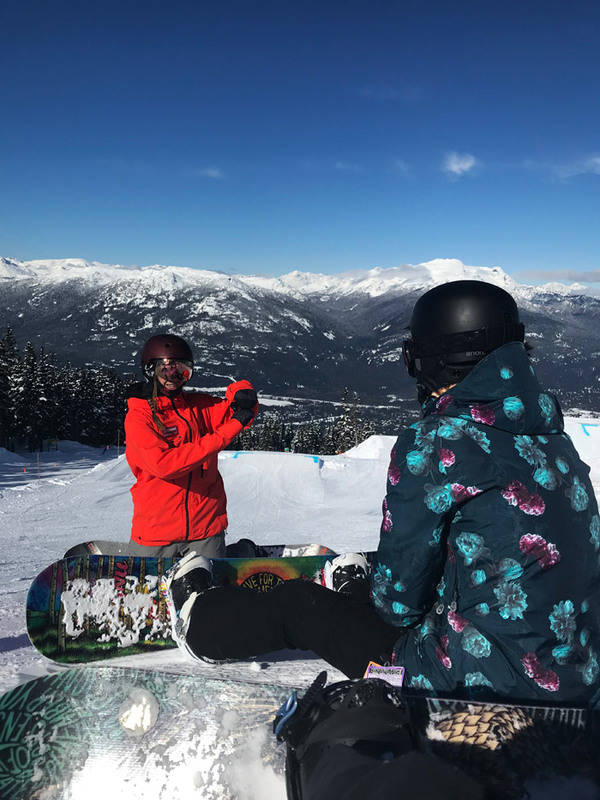 Insiders Tegan and Kilee recently road tested a Showcase Women’s Snowboard Camp, and sat down to spill the beans on what’s involved with the weekend long camps. First up – can you give us a breakdown of your snowboarding resume? Kilee: I have been snowboarding for 16 years. I made the transition from skiing to snowboarding in the early 2000’s when someone decided skiing was no longer ‘cool’. As an influential preteen I jumped on that bandwagon and haven’t looked back (kidding, now I’m re-learning how to ski). Snowboarding has taken me to some amazing places around the world and I couldn’t imagine life without it! I enjoy freeriding in search of pow and tend to steer clear of the park. Tegan: I first set foot into bindings in 2011 on a vacation in New Zealand. 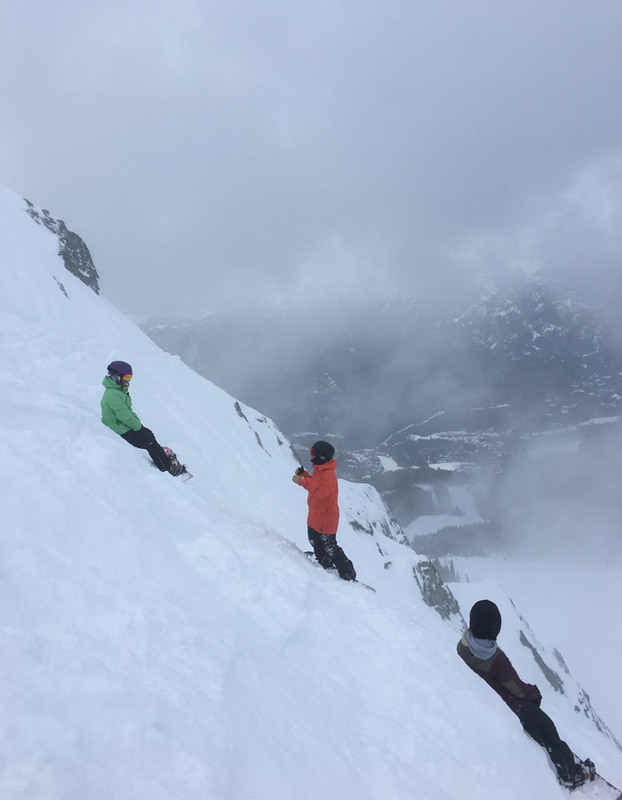 Falling in love with snowboarding was more of a slow burn for me than love at first sight – we had some tiffs along the way. However, after a few bruises to body and ego it all eventually clicked. I started linking turns, advancing to harder terrain and learning how to ride powder. It became a fun and incredibly freeing experience. I mostly freeride but am starting to explore more small park features this season. 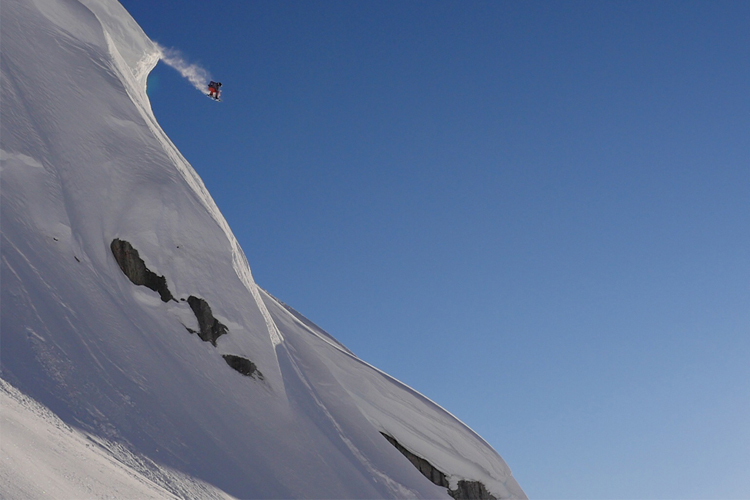 If you already know how to snowboard – why would you do a camp? Kilee: Even though I’ve been snowboarding for all of my adult life, in the last few years my progression has plateaued. The camp was a great way to fine tune my techniques to feel more comfortable in terrain I’ve been struggling with (steeps, trees and moguls). Discovering new runs was also an added bonus and it was fun to have an all-female squad to ride with! You also get priority seating in the lodges at lunch and get to use the ski school lift lines which are way shorter and saved a ton of time. 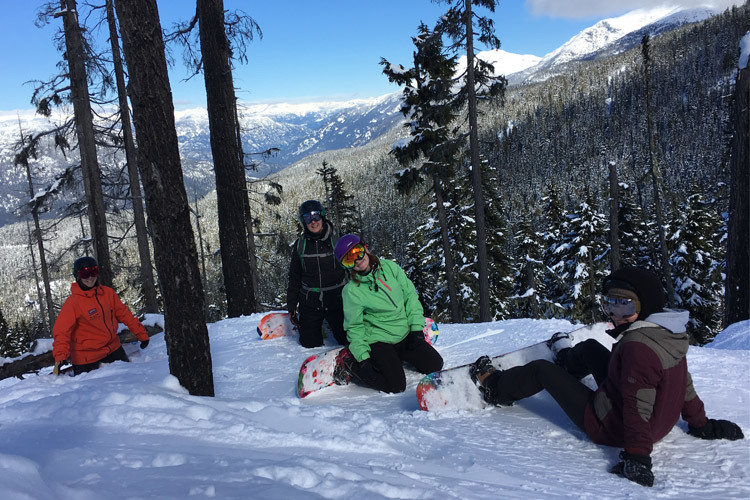 Tegan: Even if you’re crushing double blacks daily, a camp is a really fun way to explore new terrain, meet new riding buddies and iron out some bad habits you may have picked up along the way. I found it to be a great motivational tool, great if you feel a little stuck at your current level and are looking to progress. What types of women did you meet in the snowboard camp? 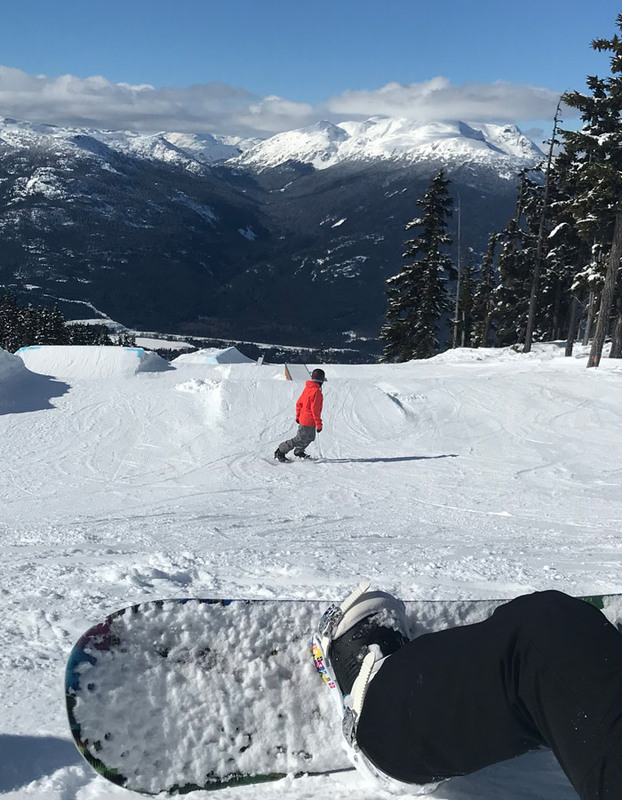 Kilee: My group of women were all from the Sea to Sky Corridor and though we may have grown up in different parts of the world, we all shared a common love of snowboarding. Something magical happens when a group of women get together to shred – endless stoke, support and smiles. Tegan: From local shredders to extended vacationers, the camp had a great mix of personalities and backgrounds that made for a fun afternoon après session at Merlin’s (après lovers take note that the first beer/wine is on the house). Everyone I met over the weekend was easy going, eager to learn and supportive of each other. How do they sort you into groups for the camp? Kilee: The camp organizers and coaches place you in a group with women who are at the same/similar ability level and have the same goals for the weekend. Before the camp they work through an ability chart to help determine what level you are (‘1’ being absolute beginner to ‘6’ being advanced rider) and on arrival, they ask you what you’d like to work on. 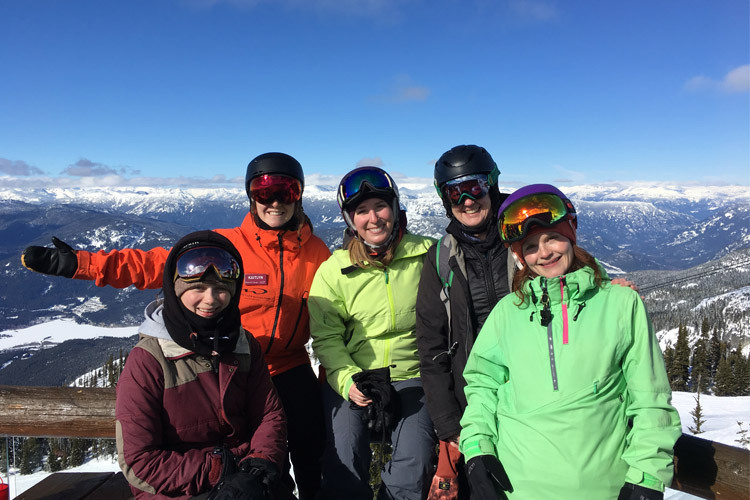 The level 5 group was a larger group of ladies who then split into two – one group focused on freeride and the other focused on park. What did you choose to work on? Did you feel pushed into doing things you didn’t want to do? Kilee: I told the coaches that I’m really not interested in the park at all so I went with the freeride group and it was perfect. I felt comfortable enough to get down all the runs but encouraged to work on the techniques on the way down (rather than taking the easy route/side slipping). If you do feel that your group isn’t a great fit for your abilities, you have the option to change to another group at lunch or the next day which is totally fine! Tegan: Absolutely not. The great thing about the camp is that it’s a very flexible environment. With two full days, there is plenty of time to focus on each rider’s goals. If you feel that you’re not on the same level as the other riders in your group, then there’s always the option to change groups throughout the day. I requested that I’d like to be part of a group focused on park riding as I thought it was a great opportunity to hone some skills and attempt features I’d usually be too scared to try on my own. How did you find the snowboard instructors? Tegan: Each group is assigned an instructor at the start of the camp. My instructor was Steph – a French-Canadian shredder who’s lived in BC for about 5 years. She was incredibly knowledgeable, supportive and ensured that each of us were given an equal amount of attention and advice. Insider Tip: if there’s something specific you’d like to work on then it’s really important that you voice it, early. The instructors and organizers want you to get the most out of the camp which they can only do if they know at the outset what it is that you’re looking to achieve. Do you think the camp improved your riding? What did you take away? Kilee: Definitely! It ticked the boxes of both the techniques I wanted to work on – toe side turns on steep terrain and tackling tree runs with ease. Kait started us off on easy runs to practice before taking us down West Bowl on Whistler to take what we had learned into real life. Same with trees – we went from small pockets of trees to full-on forests. Though they were tweaks in our technique that got us down scratch free, they made a huge difference in my confidence. Tegan: While I won’t be hitting jumps in the XL park any time soon, the camp gave me a heightened level of confidence to be able to attempt new features and explore new terrain. Why would you choose a camp over a standard full day lesson? Kilee: The chance to participate in a camp comprised entirely of women was a big draw for me. Being in the same group with the same instructor for both days, having an après reception on day one and the price point of the camp bring so much value compared to a standard full day lesson. Even though you’re technically in a group setting, you feel like you get individual attention starting from when you sign up to the camp to when you’re on the mountain. The camp organizers and coaches work hard to make the weekend truly memorable. Tegan: I find standard lessons can sometimes feel rushed. Having the same instructor over two full days reinforces the learnings from day one to day two and allows extra time to work on specific features (e.g. I got to work on hiking boxes and small jumps). It also gives the instructor time to get to know you and your riding style, which isn’t really possible in a standard full day lesson. What was the highlight of the camp? 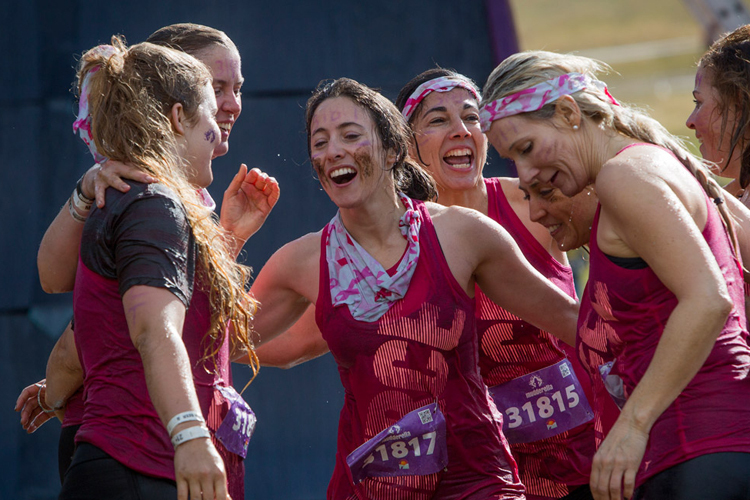 Kilee: Meeting a rad group of women and discovering new runs! Tegan: Getting to meet new people and seeing the smiles on other riders faces as they conquered some of their personal challenges. Who would you recommend the Showcase Women’s Snowboard Camps to? 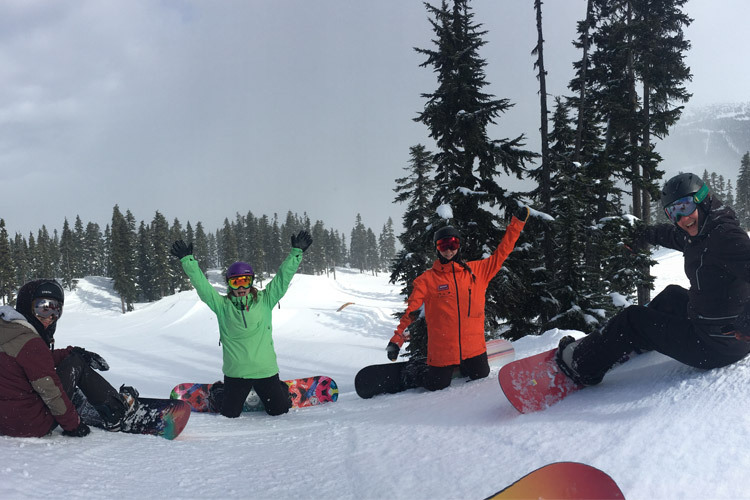 Kilee: Are you a woman who snowboards (or would like to learn how to snowboard)? This camp is for you! If your gear is collecting dust or if you want to feel confident hitting the same features as your friends – there’s something to learn at every level and there’s no shame in taking lessons if you truly want to progress your skills. Tegan: The camp is targeted at all ability levels (ages 19+ only due to the Après portion of the camp) and is a great option if you’re just starting out or if you’re a level 4-6 rider who’s looking to explore more challenging terrain/features and meet other female riders. 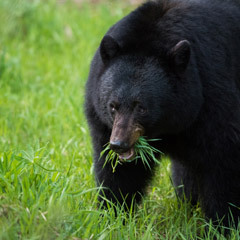 Do you have any advice for those thinking about signing up for a camp? Kilee: Do it! If you’re already thinking about it that’s half the battle; the other half is actually clicking the button and committing. There’s a million excuses you could come up with – you don’t have a car, you don’t have the gear, you don’t have a place to stay. 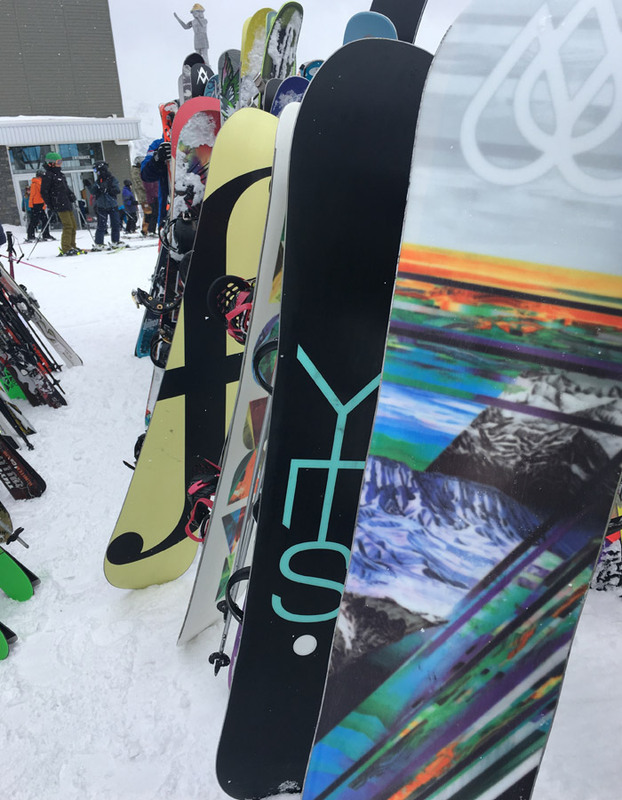 These are only excuses and there’s easy solutions – take the bus or rideshare, rent ski gear and/or demo a board from Showcase.Once you’re up in the mountains with a board strapped to your feet you’ll be happy you made the commitment. Tegan: Do it! No matter your ability or confidence level, the camp is setup to cater to everyone. 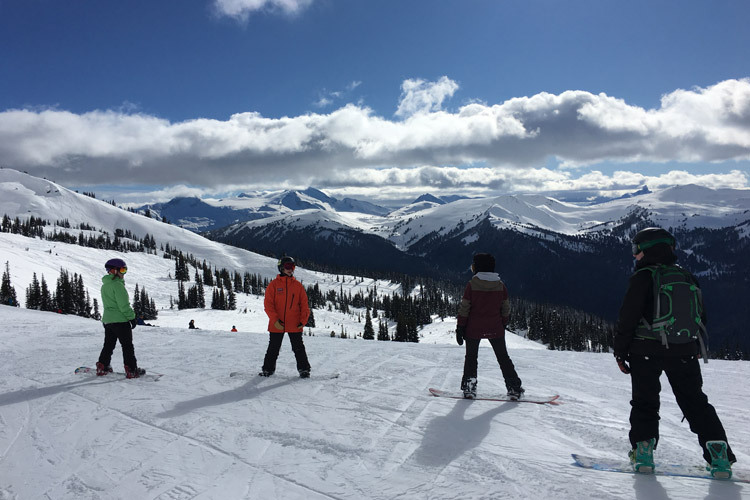 You’ll be sure to leave the camp a little tired, but also feeling accomplished and motivated to become a better snowboarder. 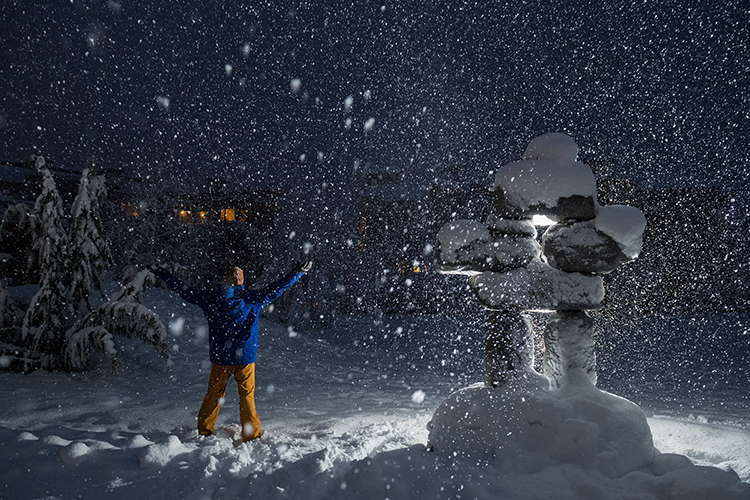 You can book the camp and other snow school lesson online now. 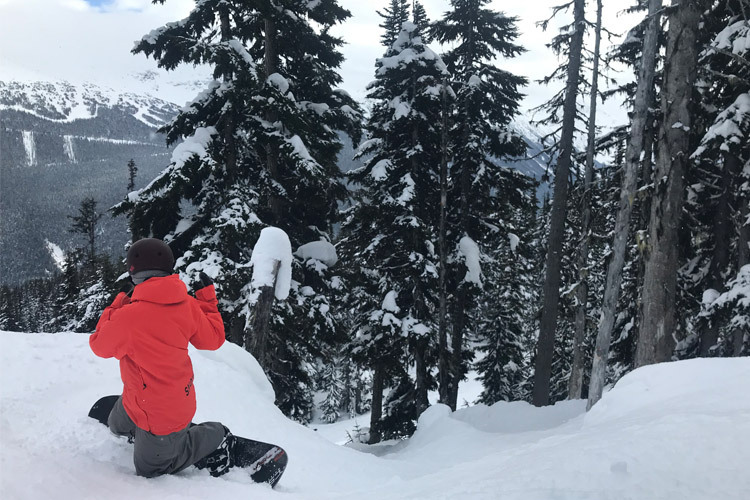 For more info on skiing and snowboarding through spring, check out Whistler.com, where team members like Kilee and Tegan are constantly checking out activities and adventures so they have the latest info to pass on to visitors.